are now on sale to the public! PLEASE NOTE - We've got a new email address for ticket inquiries. 1. Select the blue link "Click here to view and print your order." 2. Then click on the blue "Print Tickets" at the top of the page. 3. Your individual tickets will now be visible, print every page (one for each ticket). *Receipts/tickets shown electronically on phones, tablets, etc will not be accepted. 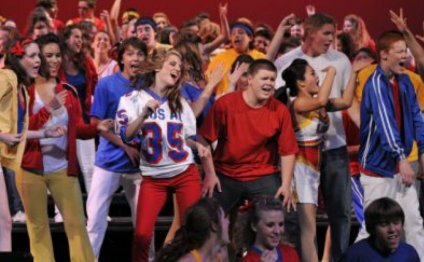 Los Alamitos Choirs produce four shows throughout the school year – Broadway, Holiday, Spring, and Pops. These shows are performed at the Margaret Webb Performing Arts Center on the Los Alamitos High School campus. Each show has four performances from Thursday through Saturday over the course of a single weekend. The best seats from which to view these performances are in the sections reserved for Season Ticket Holders. Season Tickets are only available to members of the Note-Ables Booster Club as one of the many benefits of membership. Members of the Note-Ables Booster Club get first preference for show tickets, and the opportunity to buy additional tickets before anyone else! Booster Member tickets are assigned by the level of membership, date a member ticket order is turned to the ticket committee and by seniority. Members with VIP ticket status can request their seat assignment preferences and the ticket committee will do their best to accommodate their requests. To learn more about booster membership benefits, go here. Choir member families who are not Booster Members can place ticket orders approximately two weeks prior to each show. School staff and choir supporters from the public can place their ticket orders 10 days before each show. All tickets are reservedand vary in price from $12 balcony seats, $15 floor seats to $25 VIP Floor seats. General Admission tickets (unassigned seats) are no longer available. To learn more about how to purchase tickets through our new online system, go here. Los Alamitos choirs are bound by ticketing rules of the host sites for various show choir competitions that we compete in throughout the course of the year. Tickets generally are very limited and therefore can be difficult to obtain. However, as much advance notice as possible for tickets to these events will be made available to the families of our student performers as it becomes available. For members of the general public, please check back on this site frequently, or go to the host venue/organization website for ticketing information. Los Alamitos High School Choir Pop Show 2015 - "Immortals"